Description: SEMI AUTOMATIC MODEL, As per IS:1448& ASTM D-to determine the closed cup flash point of petroleum products having flash point above 49oC up to 400oC.Supplied with LPG attachment and regulator for formation of 2mm flame. *Digital PID based temp. controller with ramping to set a heating rate of 5C/min. *Motorised dual speed geared stirrer 120RPM and 200RPM for sample stirring and temp. uniformity. 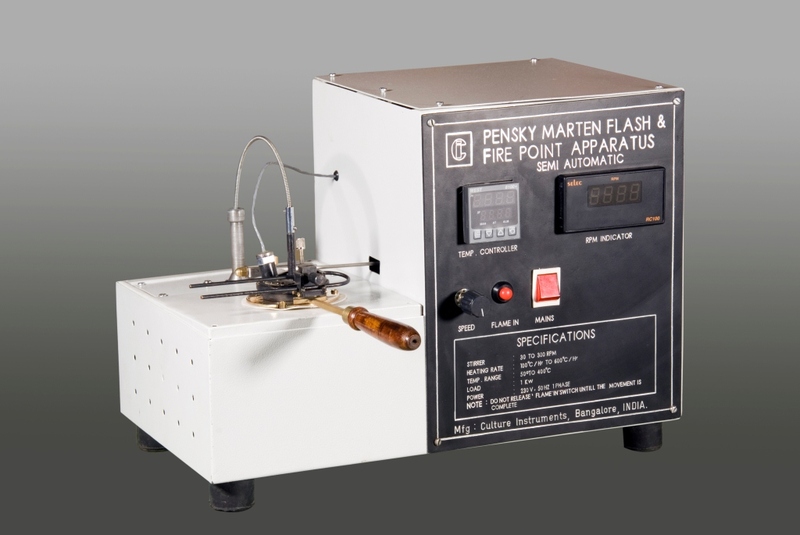 *Flame insertion arrangement on press button for easy operation.